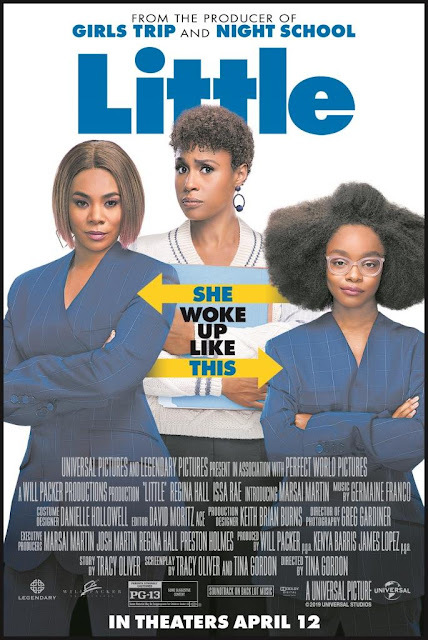 MBP readers in the Hartford, CT area are invited to a special advanced screening of the new film, "LITTLE" starring Regina Hall, Issa Rae, and Marsai Martin on Tuesday, April 9th @ 7:00pm at the Bow Tie Palace. LITTLE is an irreverent new comedy about the price of success, the power of sisterhood, and having a second chance to grow up- and glow up- right. Regina Hall (Girls Trip) and Marsai Martin (Black-ish) both star as Jordan Sanders- Hall as the take-no-prisoners tech mogul adult version of Jordan and Martin as the 13-year-old version of her who wakes up in her adult self's penthouse just before a do-or-die presentation. Issa Rae (Insecure) plays Jordan's long-suffering assistant, April, the only one in on the secret that her daily tormentor is now trapped in an awkward tween body just as everything is on the line. You can request up to 2 free passes. Please be sure to select "Mommy's Block Party" as your screening partner! 2. Check your e-mail for your E-Pass, which will be sent before the screening takes place. *Remember to arrive early as screenings are overbooked to ensure a full theater. Seating is first come- first served, and is not guaranteed. The link above will be disabled when the screening is full, so be sure to request your tickets today!